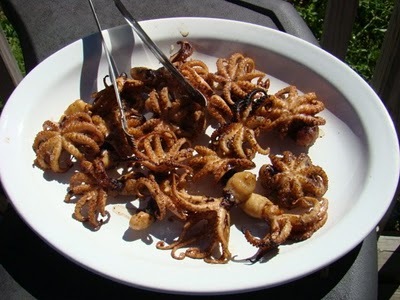 After a shopping spree to Super H Mart – (which it turns out has been there for years, I’ve just been uninformed) I have some frozen baby octopus that I want to make in two styles- Basque and Greek. 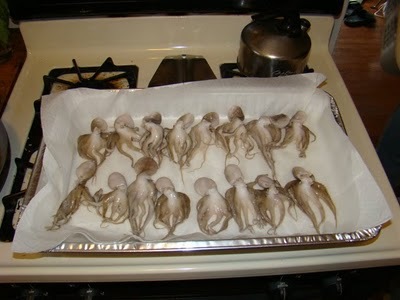 Thaw, rinse and drain octopus. 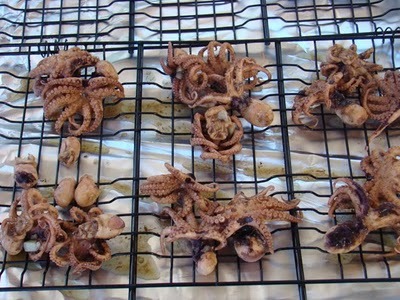 Add poaching liquids in a pot, add octopuses and bring to a gentle boil. 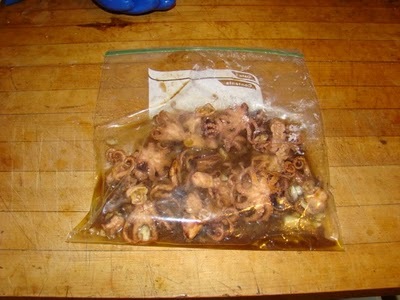 Simmer for 45 minutes-hour while poaching, combine marinade ingredients in big seal top bag. 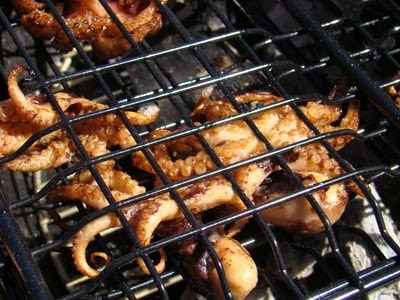 Drain and cool octopus, add to marinade in bag. Put in refrigerator for at least 4 hours, overnight works too. 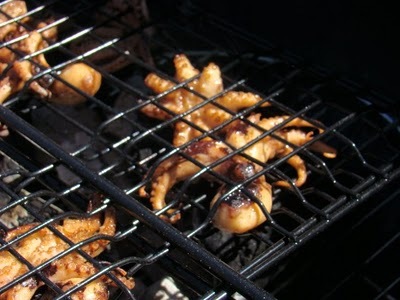 Drain and place octopuses in grilling basket. 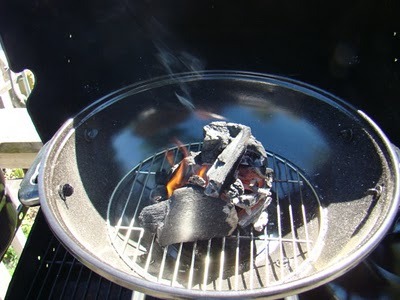 Grill over high heat for minutes until crispy and there is some char on them. Remove from heat and basket. 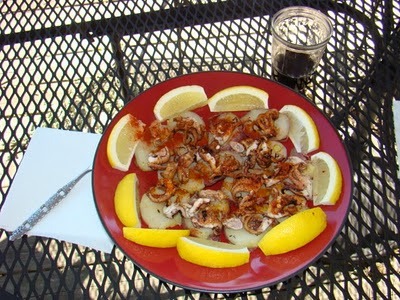 Rough chop the octopus, put on potatoes sprinkle with sweet paprika, drizzle with olive oil. They both were good. 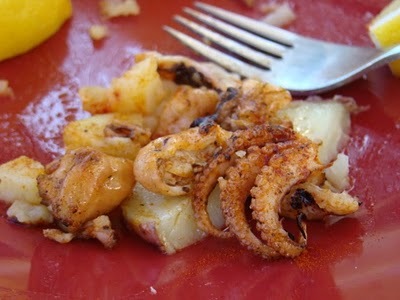 The Basque style is a little darker in flavor as would be expected from the smoked paprika. 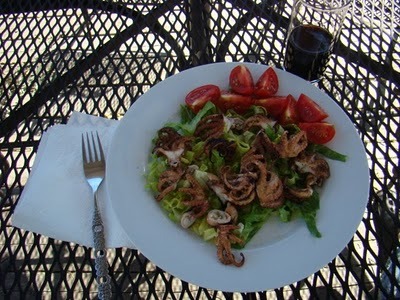 The Greek style was a little brighter flavor; perfect for a summer day. Personally, I preferred the Basque style. Damn fine!